Wahl's NEW! 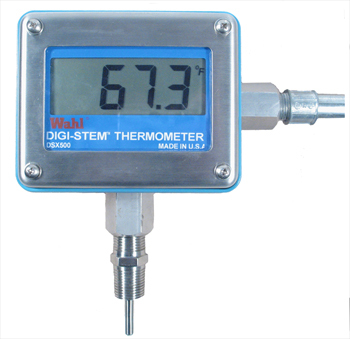 DSX500 Series Digital RTD Thermometer Systems are wide range, high accuracy thermometers designed for many applications where accurate and reliable temperature monitoring and recording are important. 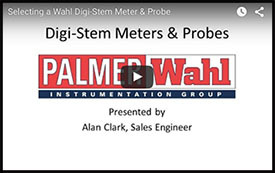 The Wahl DSX500 Temperature Indicator and Transmitter System includes the same features as the DST500, but is loop powered from and integral, 4-20mA transmitter, for reliable data transmission. The DSX500 Transmitter is factory configurable to your specification, or user configurable with the optional DSTPROG software kit.